I don’t think anyone would argue with the statement that nothing brings Jewish learning to life more enthusiastically than Jewish overnight camp. At camp, kids explore Jewish values, build community, and even study such topics as Israel, Jewish history, and Hebrew all while literally having the time of their lives in a 24/7 environment. I also don’t think anyone would argue with the statement that many of our kids endure ten months of school for the payoff of those beloved two months at camp each summer! At Federation’s Partnership for Jewish Learning and Life we’re embarking on a mission, so to speak, to make Jewish learning a more fluid, engaging experience year-round. It’s an ambitious vision. To help us do this we’ve created the JKid Educator Interchange designed to bring together key players in Jewish education – from camp educators, to day school educators, to congregational school educators and youth directors – to share resources and ideas and bring Jewish learning to life for our kids 365 days a year. 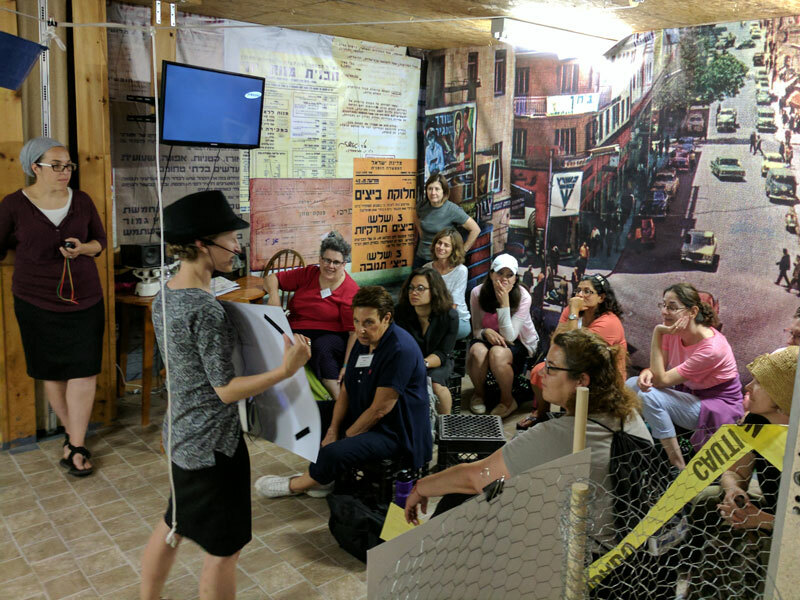 A few weeks ago I had the pleasure of accompanying a group of 11 congregational school educators on a field trip to Camp JRF and Camp Moshava to meet with their educational counterparts in the first of many Interchange programs. We observed some amazing things! We saw spaces built with kids in mind – spaces that encouraged interaction and community building. We saw programs designed to weave themes like heroes of the Torah and Israel throughout the days’ activities. We even navigated a series of escape rooms that challenged our own knowledge of Hebrew and history while developing teamwork and providing lots of laughs along the way. On this trip we learned a very valuable lesson – when kids are engaged and feel a sense of ownership, they are empowered in their Jewish learning. In order to execute the plans and ideas we dream of, pointed out Kate O’Brien, Director of Jewish Education at the Foundation for Jewish Camp, it’s critical that everyone engaged in the education of our kids be present and passionate about what they are doing. That passion will be contagious. Now that we’re getting ready to head back to school, JKid Educator Interchange will ramp up the networking opportunities for our community educators. We will come together on a regular basis to share ideas and create meaningful experiences for our kids throughout the year. We hope everyone who is charged with teaching and inspiring kids in our community will join us and help us attain our ambitious vision of year-round engaging Jewish learning. If you’re interested in joining our Educator Interchange, please contact me at jsakofs@jfedgmw.org.